Campaigners tend to be pessimists. The forces arranged against them are all-powerful, and they feel fringy people, bearing placards and shouting odd slogans, while most of the world ignores them. So there was surprise and relief yesterday when the results of the consultation on the Urban Living Supplementary Planning Document (SPD) were unveiled in a meeting on the Harbourside – overwhelming rejection (virtually unanimous!) by the around 600 respondents to the new tall buildings policy. “If it is a tall building, we don’t want it – put that in your pipe and smoke it,” was the general response. Maybe tellingly Nicola Beech, the political face of the tall buildings policy, was absent (said to be sick). In her place were the planning department’s three most senior officers, who filled us in on the preliminary results (details to appear next week, reported here). • A quote from Nye Bevan, holy icon of British socialism. What matters, said Nye, is not just the number of homes, but their quality – how they will be seen by future generations. • Unvarnished presentation of Bristols’ rejection of tall buildings, complete with bar charts . • Statement that the SPD had not, goodness no, been intended to legitimise tall buildings. And it was disgraceful that some developers had interpreted it in this light. Gosh, how could they? Wow! That is our quote, used by the Bristol Campaign Against Tower Blocks http://bristolagainsthighrises.com/ ! Curious that it has been adopted as the “real meaning” of the document we were objecting to! With these amazing results, why are we worried? We should not assume that this is the end of the matter. It is not. The planning officers in Bristol have been put in an impossible position. They have been pressured by a largely ignorant council leadership which believes that the solution to the housing crisis is to build tall. The planners know, and the vast majority of the planning community agrees with them, that building tall is more expensive, bad for residents, destructive of communities, bad for cities, and especially inappropriate for historic cities like Bristol. But many of our councillors don’t realise this. Genuinely ignorant, some – not all! – believe that the victory of tall buildings in London and in many cities around the world means that it is now accepted fact that “tall is good”. To put it simply, they haven’t done their homework. Developers, of course, are keen to profit from this misconception. They talk, and they talk, to your councillors. They meet them at consultancy dos. They wear suits and ties. They have complex diagrams and arguments. They look professional, they seem to know. They say tall buildings will bring money to the city. Never mind that they will mostly be built in locations where they will cause the most damage (because that’s where you turn a quick profit). So the problem is our councillors, who cave in to the developers. Also, much increased pressure on the planning department under this administration now means that our planners, often, recommend approval of tall buildings despite being unambiguously against established guidelines (which planners are supposed to follow). Bristol Council ignored both its own guidelines in the Tall Buildings Supplementary Planning Document (2005), and the neighbourhood plan, and local opinion, last November when approving the 26-floor application for the Former Ambulance Station (https://www.bristolcivicsociety.org.uk/former-ambulance-st…/) on Castle Park. There was only one vote against approval in the planning committee (Lib Dem). There’s a way forward. But it will be hard work. The admirable Windmill Hill and Malago Community Planning Group (WHAM) has it right. Councillors will listen to your votes. That’s why WHAM leaflets, walks the streets, tells people what is happening. Bristol City Council did its best not to publicize the tall buildings consultation, but WHAM helped raise awareness. 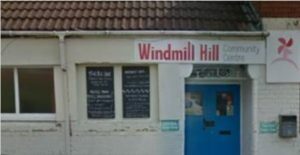 Not by meetings of professionals, but by going out leafleting, working from the Windmill Hill Community Centre . There’s a lesson. Over the next couple of years there will be enormous numbers of tall buildings planning applications. The list of planned high rises grows daily, and soon will cover all areas of the city: 26 storeys on the south east edge of Castle Park. 17 storeys on Wine Street. 22 storeys in Redcliff Quarter towering above Finzel’s reach. 14 storeys on Bath Road at Totterdown Bridge and two 20 and 22 storey towers on Bedminster Green. And an entire high-rise city, Chinese investors willing, in Cumberland Basin. WHAM have shown us what works. Campaigning, leafleting, and lobbying your councillors really helps. The key councillors to lobby appear to be those on Development Control ‘A’ Committee (https://democracy.bristol.gov.uk/mgCommitteeDetails.aspx…) and Development Control ‘B’ Committee (https://democracy.bristol.gov.uk/mgCommitteeDetails.aspx…) and most importantly, your local councillors. Sorry – it really is necessary to get walking the streets. We have to leaflet, tell people what is happening. Popular pressure works. There is no alternative. You must tell your councillors what you think. And if you are a community leader, please help get the word out.